Hello everybody! Who else from Israel? Nice to meet you! I'm a super new to ant hobby. Ants are very beatiful and fascinating creatures. I got interested by very cool and soulful videos of Mikey Bustos. He speaks about ants with such love and exitement, that drew me into the ant world. I fell in love with ant world. I am considering whether to start a colony, but my family members are afraid. So, now I'm focused more on exploring more local ant species and their lifestyle. So lately I'll be busy posting photos of ants I find in the city of Tsfat. It rained on 9th october here in Tsfat. Next day, 10th october, I decided to go hunt for some queens. Here I caught two messor queens. The setup I let them in is terrible. But it was all i've got in hand. Other species have their flights in different times, I don't know when. 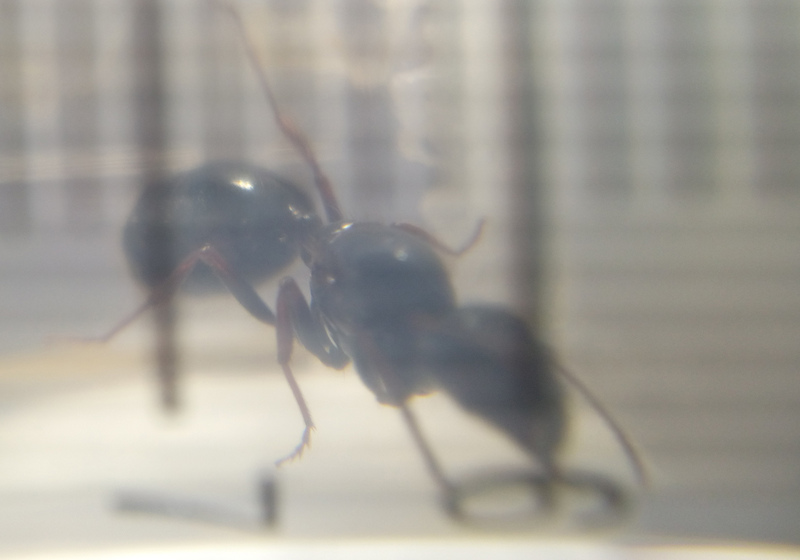 There supposed to be camponotus spp. flights in summer. I missed it somehow. Good luck with your queen! I haven't got better setup for them, and it seems to me that my queens are stressed! One of them is digging into cotton and second is not moving much. 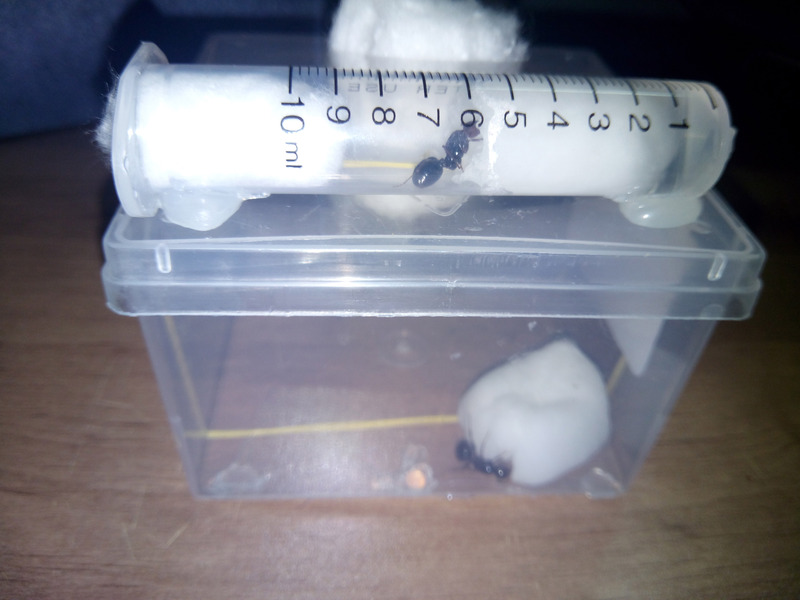 Queen N1 is in syringe as you can see, so maybe she is digging cause it's too crumped in here? For queen N2 it works the opposite way, cause the chamber is too big. I hope to get some comfortable test tubes to move them in. It is 18 - 23 degrees by celsium in my place so it should not be bad temperature that stresses them. Also, i'm afraid the cotton in big chamber is getting dry. what can I do, yet I don't have any test tubes? To know why they are stressed there are a few possibilities, how often do you check up on them? Are you covering their setup with something to stop light? Are they in a relatively stable area (not too many vibrations or constant changing of light, on off on off or fluctuation of temp) If not put them in a non ac room under a cloth or towel which doesn't get disturbed a lot. I'm new to ant keeping so my colonies are all still in test tubes.